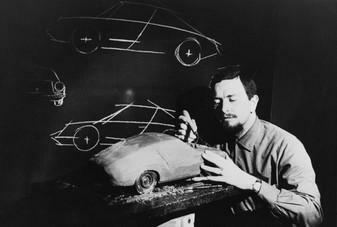 Ferdinand Alexander “Butzi” Porsche was born in 1935. He was the creator of the iconic Porsche 911, founder of Porsche Design, and Honorary President of the Supervisory Board until 2012 when he died in Salzburg at the age of 76. Butzi Porsche, or “F.A. Porsche” as he was known by his colleagues, spent many of his early years in the engineering offices of his grandfather Ferdinand Porsche. In 1958, he proved his own talent for design by sculpting the first model of a successor to the 356 out of plastic. Four years later, when he took over as head of the Porsche design studio, he created a worldwide uproar with the first Porsche 911. With the Porsche 911, Butzi produced a sports car icon whose timeless and classical form survives to this very day in what is now the seventh generation. He established a design culture in Porsche that has shaped every aspect of our sports cars, and we will honor his legacy for many years to come.